국제갤러리는 5월 20일부터 23일까지 열리는 국제 아트페어 아트부산 2016에 참여한다. 올해로 5회를 맞는 아트 부산에는 해외 18개국에서 77개 갤러리와 국내의 110여 곳이 참가하며, 국제갤러리는 장-미셸 오토니엘의 ‘Noeud ambre miroir’을 포함한 30여점의 작품을 출품할 예정이다. 아트부산에는 40세 미만 작가의 신진 작가들의 전시를 선보이는 <S 부스> 섹션을 비롯해 부산은행의 후원으로 이뤄지는 <아트 악센트>와 한불수교 130주년을 기념한 프랑스 현대미술전, 부산 비엔날레를 미리 엿볼 수 있는 특별전과 연계전시도 개최된다. Kukje Gallery participates in the international art fair Art Busan 2016 from May 20 to May 23, 2016. Celebrating its 5th anniversary, 77 international galleries from 18 countries and 110 Korean galleries participate in this year’s Art Busan. 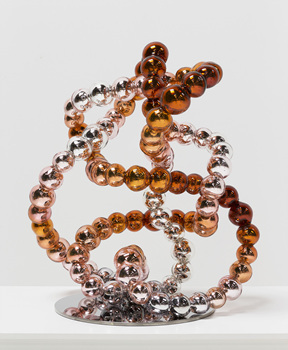 Kukje Gallery showcases 30 works including Jean-Michel Othoniel’s Noued amber miroir. The special exhibition program consists of sections such as S Booth exhibiting works from rising artists under 40 years old, ART ACCENT sponsored by Busan Bank, and a section commemorating the friendship and diplomacy between France and Korea in the 130th anniversary of Korea – France Diplomatic Relations, and other special and conjunctive exhibitions offering a chance to sneak peek into this year’s Busan Biennale. 멕시코 출신의 현대미술 작가 가브리엘 쿠리는 베를린 소재의 살롱 달만에서 열리는 그룹전<Poetic Minimalism>에 참여한다. 이 전시는 요셉 보이스의 제자였던 독일출신의 작가 베른트 로하우스(1940-2010)의 작품세계를 주제로 기획되었다. 그는 돌, 종이, 실 같은 단순하고 가공되지 않은 일상적 재료의 기능을 전환하여 사적이고 은유적인 의미를 부여한 ‘시적 미니멀리즘’을 시도했다. 쿠리는 로하우스의 작품과 맥락을 같이하는 앙리 살라, 펠릭스 곤잘레스토레스 등 9명의 작가들과 함께 소개되어 미니멀리즘의 새로운 해석을 제안한다. 그외 가브리엘쿠리는 국제갤러리에서 오는 6월 개인전을 예정에 있다. Gabriel Kuri is participating in a group exhibition Poetic Minimalism in Salon Dahlmann, Berlin. 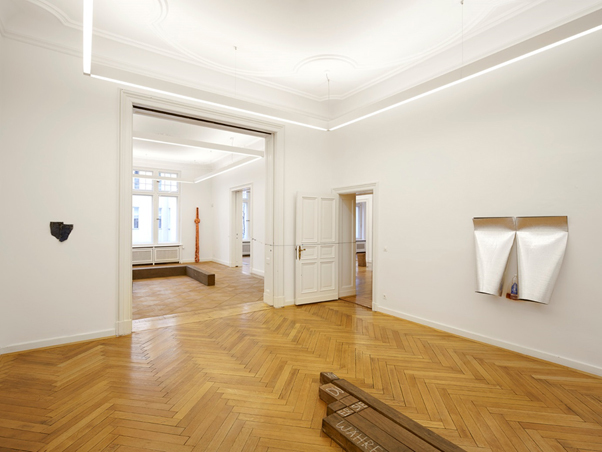 The exhibition focuses on German artist Bernd Lohaus (1940-2010) who was a former student of Joseph Beuys. Lohaus manipulated sculptures by altering the function of the simple and untreated materials, such as stone, paper, and thread, and then added personal and metaphorical meanings, which gradually broaden the concept of 'poetic minimalism’. Along with Anri Sala and Felix Gonzalez Torres who share the similar context of the oeuvre of Lohaus, Gabriel Kuri is introduced with the nine young artists in order to illustrate new interpretation of minimalism. Gabriel Kuri will have a solo exhibition at Kukje Gallery in June. COPYRIGHT ⓒ 1982-2019 KUKJE GALLERY. ALL RIGHTS RESERVED.